Recent statistics show that the number of job openings for veterinarians is currently on the rise due to employment growth, limited numbers of new graduates, and people leaving the workforce for retirement. Since there are only 28 accredited veterinarian programs in the United States and only 2,500 new graduates each year, the demand for veterinarians remains high due to the fact that supply cannot keep up with demand. Employment for vet technicians is also expected to grow significantly over the next 5-10 years by approximately 15-20%. 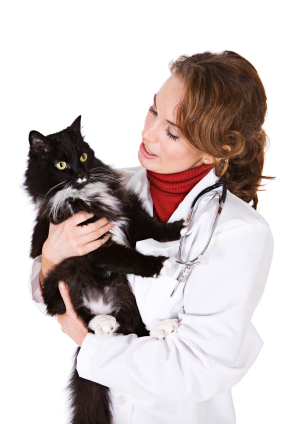 For veterinarians working full-time, they typically dedicate anywhere from fourty to fifty hours each week and average a mean salary of $95,000/year (2013). Vets fresh out of school average a starting salary of $65,000, and can reach up to $200,000+ per year with qualified experience and specialization. Those who work in the private sector, as opposed to the government or schools, tend to make higher wages, especially if they have ownership in the practice.